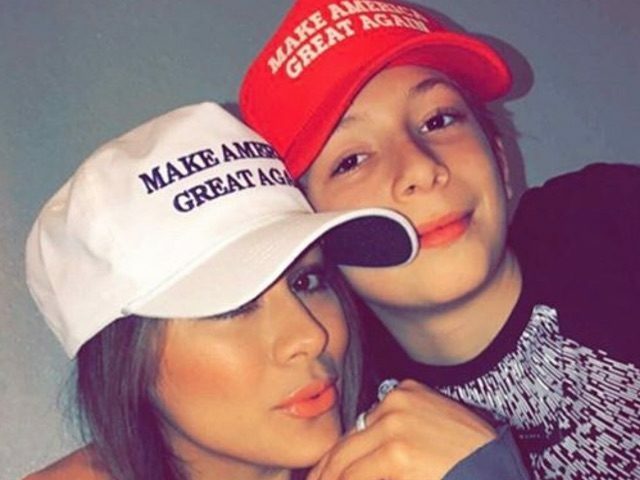 A 12-year-old boy in Missouri was attacked on a school bus by his peers for wearing a “Make America Great Again” hat—and was suspended from school as a result. A cellphone video of the incident shows Gavin Cortina of St. Louis being bullied physically and verbally by his peers for expressing his political beliefs on a hat Wednesday, the Daily Mail reports. Things escalated quickly after that, according to Gavin. Even though Gavin was the one being attacked, the Parkway School District suspended him. His mother, Christina, is outraged at the school and is concerned about what will happen if he wears the hat again. At least one student was suspended, according to KMOV. The district sent out notices to parents with suggestions on how to talk about the election results with their children after Trump’s victory in November, the New York Daily News reports. The spokesperson added that administrators will sit the students down and reach a peaceful understanding about the incident and their political differences.